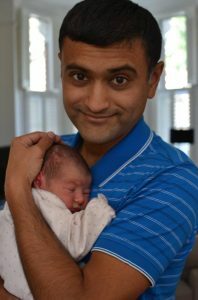 Some of you will remember Vivek Sivaraman who died suddenly in March 2015 leaving his wife Lucy and four children, as well as a large hole in the worlds of those who knew and worked with him. At Lucy’s request and in conjunction with the old Heart Hospital anaesthetic department, we have arranged for a bench to be placed in the quadrangle at St Bartholomew’s Hospital which is where many of us feel Vivek would have worked as a consultant. Lucy would love anyone who knew Viv to come along to the quadrangle at Barts on 29th November at 1800 where we will say a few words of dedication in his memory, followed by some drinks in one of the local pubs. No need to let us know, just turn up! Posted in The Grapevine by Roger Cordery.